Born in the U.S Virgin Island of St. Thomas, Rayhainio A. Boynes (Ray Nitti) lived a very trying life. Known to friends simply as Ray, he grew up in an abusive household and he witnessed his mother go through many pains and struggles in life, all of which helped build his character today. At the age of 13, his mother, fearing for her safety decided to leave St. Thomas. They moved to Milwaukee, Wisconsin in 1997. There he attended John Burroughs Middle School and Riverside University High School. This is where he found his passion for music, which evolved from poetry. Two poets by the names of Kwabeena Nixon and Muhibb Dier spoke words of encouragement through their poetry. Ray began to release a lot of inner frustrations and anger through his writing. What started out as stories of his life, quickly evolved into beautiful music that caught the ears of people all around. Not knowing much about hip-hop made the transition from one culture to the next very difficult for Ray, but with dedication and a strong work ethic, he created a healthy buzz for himself around the city of Milwaukee. Through performing at different venues around the city he met another local R&B artist Cincere who took Ray under his wing and helped to perfect his craft. Under the guidance of Cincere and Bruce Hasse, Cincere’s Manager; Ray was blessed to do shows with some of the industry's biggest artists such as Chris Brown, Bobby Valentino, 112, B5, Mario, Trey Songz ,Lyfe, Baby Face, P.Diddy, Avant, Ray-J, and the list goes on. After a 2005 performance for first lady Laura Bush, Cincere was asked to travel overseas with Armed Forces Entertainment (AFE) to uplift the spirits of our troops through music. Although this could have been his tour alone, he saw this as a good opportunity and asked Ray Nitti to accompany him to provide a broader range of music. They spent roughly one month traveling to countries like Qatar, Djibouti, United Arab Emirates, Kuwait, Afghanistan, Kyrgyzstan, Saudi Arabia, and Iraq. Not only were they well received by the troops, Ray Nitti turned out to be one of the highlights of the show. After having almost 3 years of nothing but country and rock performers, the soldiers were overjoyed to have their first R&B/Hip Hop performers deliver such an energetic and flawless show. Ray Nitti and Cincere have been asked to do another tour of bases in Japan and Korea because of the success of the first tour. Ray Nitti has gained international exposure, not only with the troops but artists in other countries as well. 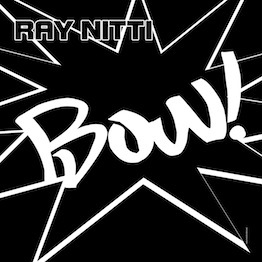 In 2009 Ray recorded the single “Bow” which quickly generated a buzz at Milwaukee radio stations. This caught the attention of Eddie O’Loughlin of Next Plateau Entertainment who signed Ray immediately. He collaborated with producers in Germany, something he may never have achieved had it not been for the tour and the respect he gained with his unique style. 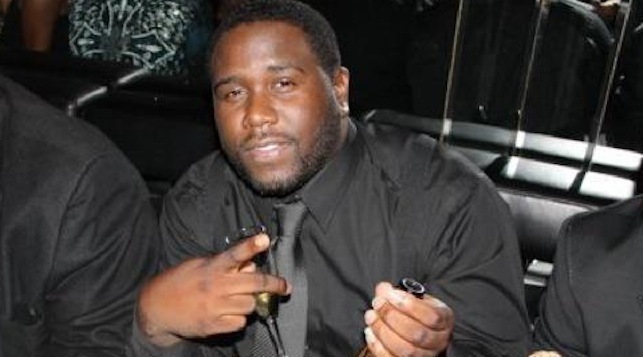 Not only a fan of hip-hop but Ray Nitti also writes R&B songs as well, he has written songs for Cincere and Rico Love, who is signed to Usher's record label, US Records. Looking at the steps that Rico took gave Ray Nitti all the motivation that he needed to further his career. Rico Love mentors Nitti and gives him the knowledge that he seeks about the music business. Ray Nitti has his mind set on success and will not stop until his goals are reached. He has been preparing himself for the industry for a long time. With a confident “swagger” and positive persona Ray Nitti is a rising star, and his excellent flow and advanced word play gives him the credibility of being one of the best song writers in the game today.